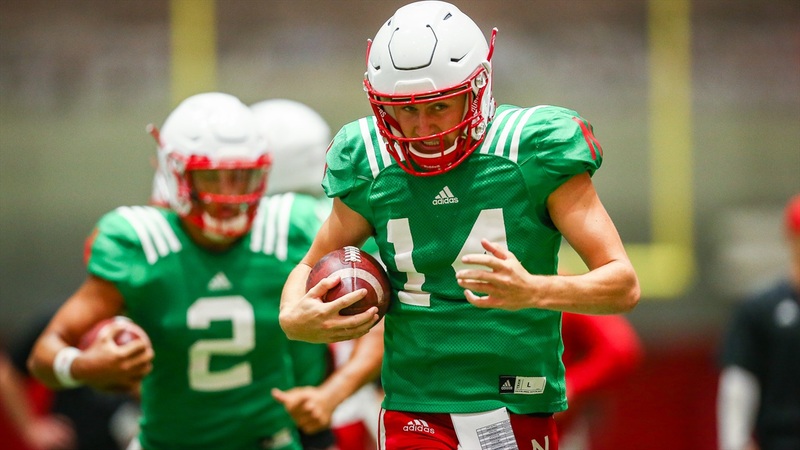 Redshirt freshman quarterback Tristan Gebbia has officially asked for and been granted a release from his scholarship at Nebraska, head coach Scott Frost confirmed Tuesday. Nebraska announced early Sunday morning that true freshman Adrian Martinez had beaten out Gebbia for the starting quarterback job after a nearly eight-month-long race. On Monday during his weekly press conference, Frost was asked about how Gebbia responded to the news and things grew a little tense. "Tristan's a great kid," Frost began. "There have been several players who have chosen not to be a part of the program. Some of the decisions I agreed with, some of them I didn't. But no matter what these are good kids and we want what's best for them. We preach that we care about the kids and when they make a decision that doesn't involve us we'd be lying if we didn't help them and act like they're important to us. Frost said that Gebbia did not attend practice Monday morning and reports later surfaced that Gebbia was no longer enrolled at the university (first reported by HuskerOnline's Nate Clouse). With Gebbia officially out of the picture, Nebraska will enter the 2018 season with only two scholarship quarterbacks on the roster and only one eligible to play. After transferring from Central Florida, Noah Vedral will have to sit out the 2018 season. Behind Martinez are two walk-on quarterbacks, sophomore Andrew Bunch and true freshman Matt Masker. The Huskers begin the season on Sept. 1 against Akron at 7:05 p.m. on FOX.